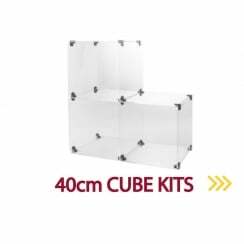 Acrylic Cube Kits with a panel size of 30cm or 40cm. Choose from one of the kits or design your own! To add even more interest to this versatile display why not add shelves, lockable doors and decorative back panels. 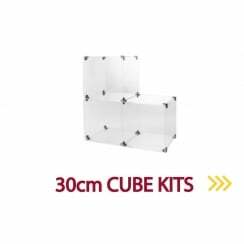 Storage Cubes are available on-line from 3D Displays. Ideal for utilising space, organising merchandise and generating effective retail displays. Perspex Display Cubes are available in 30cm and 40cm options with some great decorative panels to enhamce your display Choose from teh predesigned kits or make your own configuration. 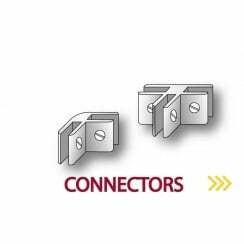 All the panels & connectors are available for speedy delivery from 3D Displays. If you need a storage system that is a little more secure these acrylic displays are also available with the optopn of lockable doors. With free delivery on orders over £150 increase your sales by purchasing acrylic displays and point of sale equipment from 3D Displays.